TLJ Daily E-Mail Alert No. 2,345, Thursday, February 23, 2012. Thursday, February 23, 2012, Alert No. 2,345. 2/22. President Obama signed into law HR 3630, [LOC | WW], the "Temporary Payroll Tax Cut Continuation Act of 2011". See, White House news office release. Also on February 22, the Executive Office of the President's (EOP) Council of Economic Advisors (CEA) released a paper [25 pages in PDF] titled "The Economic Benefits of New Spectrum for Wireless Broadband". It restates points that have been made repeatedly in discussions leading up to the passage of HR 3630, and upon which there is consensus. It states that "the projected growth in data traffic can be achieved only by making more spectrum available for wireless use", that "Wireless broadband has the potential to transform many different areas of the American economy by providing a platform for new innovation". It also states that "Wireless broadband has a vital role to play in improving the ability of emergency personnel to communicate efficiently and to obtain necessary information quickly, including real-time videos, images, and other data". It also states that "the spread of wireless broadband is likely to increase the rate of growth in per capita income; spur economic activity through new business investment; and support many new high quality jobs". For more on this bill, see stories titled "House and Senate Negotiators Reach Agreement on Spectrum Legislation", "Summary of Spectrum Bill", and "Reaction to Spectrum Bill" in TLJ Daily E-Mail Alert No. 2,339, February 17, 2012, and story titled "House and Senate Pass Spectrum Bill" in TLJ Daily E-Mail Alert No. 2,340, February 18, 2012. 2/17. The House Oversight and Government Reform Committee's (HOGRC) Subcommittee on Technology, Information Policy, Intergovernmental Relations and Procurement Reform held a hearing titled "Examining Duplicative IT Investments at DOD and DOE". The Government Accountability Office (GAO) released a report [57 pages in PDF] titled "Information Technology: Departments of Defense and Energy Need to Address Potentially Duplicative Investments" that finds numerous potentially duplicative programs. This report states that "we have identified 37 potentially duplicative investments at DOD and DOE. These investments account for about $1.2 billion in total IT spending for fiscal years 2007 through 2012. Given that our review covered 11 percent (810 investments) of the total number of IT investments that agencies report to OMB, it raises questions about how much more potential duplication exists." See also, prepared testimony of the GAO's David Powner for this hearing. Rep. James Lankford (R-OK), the Chairman of the Subcommittee, presided. He stated in a release that "The private sector has successfully harnessed the power of Information Technology systems to streamline its businesses and maximize output ... But that success has not always translated to the federal government. Instead of letting the power of technology bring our operations into a unified operation, it has only compounded the problems of a massive and unmanageable bureaucracy." He also said that "Too often, agencies put themselves into individual silos that isolate themselves from the rest of the government and prevent them from sharing information and best practices ... Federal agencies must open the lines of communications, in order to better integrate and work together in preventing waste and duplication. At a time of record budget deficits and strained resources, there is absolutely no reason not to streamline IT systems and cut redundant spending." Sen. Tom Carper (D-DE), Chairman of the Senate Homeland Security and Governmental Affairs Committee's (SHSGAC) Subcommittee on Federal Financial Management, commented on this GAO report. He stated in a release that "This report is just the latest example of mismanagement and waste within our government's costly information technology portfolio. He added that "We must continue to transform the government's use of information technology", and touted S 801 [LOC | WW], the "Information Technology Investment Management Act of 2011". He introduced this bill on April 12, 2011. It was referred to the SHSGAC. Sen. Susan Collins (R-ME), the ranking Republican on the SHSGAC, and a cosponsor of S 801, stated in the same release that "Federal IT programs have been plagued with cost overruns, program failures, and duplication. Taxpayers should not have to pay for federal IT projects twice". 2/8. The Attorney General of the State of New York, or NYAG, and Intel entered into an Agreement [19 pages in PDF] under which the NYAG agrees to dismiss with prejudice its action against Intel in the U.S. District Court (DDel) alleging violation of federal and New York state antitrust law, and Intel agrees to make a payment of $6.5 Million. The NYAG began its investigation of Intel in 2007. It filed its complaint [89 pages in PDF] on November 3, 2009. See, story titled "New York State Files Civil Antitrust Complaint Against Intel" in TLJ Daily E-Mail Alert No. 2,011, November 9, 2009. The NYAG alleged that "Intel has engaged in a systematic worldwide campaign of illegal, exclusionary conduct to maintain its monopoly power and prices in the market for x86 microprocessors". It alleged that Intel violated Section 2 of the Sherman Act (15 U.S.C. § 2), and New York law (N.Y. Gen. Bus. Law § 340 et seq. and § 63(12) of the New York Executive Law). On December 7, 2011 the District Court granted two of Intel's motions to dismiss claims. See, opinion and order regarding the New York Donnelly Act damages claim, and opinion and order regarding the NYAG's claims on behalf of non-state public entities. The District Court also granted a motion for partial summary judgment with respect to damages. See, opinion and order. Doug Melamed, Intel's General Counsel, stated in a release that "Following recent court rulings in Intel's favor that significantly and appropriately narrowed the scope of this case, we were able to reach an agreement with New York to bring to an end what remained of the case. We have always said that Intel’s business practices are lawful, pro-competitive and beneficial to consumers, and we are pleased this matter has been resolved". This case is State of New York v. Intel Corporation, U.S. District Court for the District of Delaware, D.C. No. Civ. No. 09-827-LPS. 2/22. Sen. Max Baucus (D-MT), Chairman of the Senate Finance Committee (SFC), which has jurisdiction over trade issues, traveled to the Russian Federation on February 17-22, 2012, to discuss trade disputes and Russian accession to the World Trade Organization (WTO). He met with Russian President Dmitry Medvedev, First Deputy Prime Minister Igor Shuvalov, who handles economic and trade issues, and Minister of Economic Development Elvira Nabiullina. Sen. Baucus stated in a release on February 17 that "Holding Russia to its promises as it enters the WTO and seeking a greater share of the Russian market is a one-way economic benefit for the United States and an absolute no-brainer. This trip will help lead Russia to end its unfair trade practices that hurt American businesses, ranchers and farmers." Sen. Baucus (at right) stated in a release on February 20 that "Russia has to play by the rules, and having Russia in the WTO will help to make that happen ... Russia has made progress opening its economy over the past two decades, and it’s critical this progress continues through its WTO accession. Russia now needs to end its unscientific barriers to agricultural products like beef, poultry, pork and dairy, and it needs to improve enforcement of intellectual property rights. Establishing permanent normal trade relations with Russia would be a major boost for our exports and will help us address these serious issues in the WTO". Sen. Baucas's release states that "If by that point Congress has not passed legislation granting Russia permanent normal trade relations (PNTR), the United States will not enjoy the full economic benefits of Russia joining the WTO." Sen. Baucus, along with Sen. Orrin Hatch (R-UT), the Chairman and ranking Republican on the SFC, and Rep. Dave Camp (D-MI) and Rep. Sander Levin (D-MI), the Chairman and ranking Democrat on the House Ways and Means Committee, wrote in a letter to U.S. Trade Representative Ron Kirk in October that "We have numerous concerns regarding Russia’s protection of intellectual property rights (IPR)." See, story titled "Congressional Leaders Write USTR Regarding Russia Joining WTO" in TLJ Daily E-Mail Alert No. 2,309, November 3, 2011. The four continued that "Intellectual property is critical to U.S. industry and jobs. We believe it is vitally important for potential members of the WTO to demonstrate that they are not only willing to agree to strong protection of intellectual property, but that they also possess the will and the ability to enforce these rights. Unfortunately, Russia’s standard of IPR protection has fallen short of these standards." They added that "We are also deeply concerned about recent reports questioning Russia’s commitment to join the Information Technology Agreement (ITA), a commitment the United States negotiated with Russia as part of the bilateral agreement we reached in 2006." 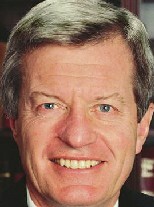 Sen. Baucus also met with Russian agriculture officials. His state of Montana exports beef products. See, February 21 release. 2/23. The Executive Office of the President's (EOP) released a document [62 pages in PDF] titled "Consumer Data Privacy in a Networked World: A Framework for Protecting Privacy and Promoting Innovation in the Global Digital Economy". 2/22. The Office of the U.S. Trade Representative (OUSTR) announced in a release that the US Korea Free Trade Agreement will go into effect on March 15, 2012. The OUSTR stated that this FTA lowers tariffs, and "includes a number of significant commitments related to non-tariff measures", including "obligations related to ... enhanced regulatory transparency, standard-setting, technology neutrality, and customs administration" and "Strengthened protections for intellectual property rights". See also, the final text of this FTA, and its sections regarding telecommunications [17 pages in PDF], electronic commerce [4 pages in PDF], and intellectual property rights [35 pages in PDF]. 2/22. Federal Communications Commission (FCC) Chairman Julius Genachowski gave a speech on cyber security. 2/17. President Obama gave a speech at political fund raising event in the state of Washington at the home of Jeff Brontman, founder of Costco, in which he touched on science, technology, engineering and mathematics (STEM) education. Obama said that "We need more scientists and mathematicians and engineers." He continued that government has "initiated a whole range of programs to start elevating and lifting up the importance of STEM education, and redesigning how it’s taught so that my daughters are starting to get interested in math and science early." He also advocated, in broad terms, federal spending on "basic research". 1/31. The National Institute of Standards and Technology's (NIST) Computer Security Division (CSD) released its draft SP 800-61 Rev. 2 [63 pages in PDF], titled "Computer Security Incident Handling Guide". The deadline to submit comments is March 16, 2012. 10:00 AM - 12:30 PM. The Office of the U.S. Trade Representative (OUSTR) will hold a hearing titled "Special 301 Review". Location: OUSTR, 1724, F St., NW. Deadline to submit comments to the Copyright Office (CO) in response to it notice in the Federal Register regarding revisions to its fee schedule. The CO seeks comments on two questions: "First, with respect to the basic registration fee, should special consideration be provided to individual author-claimants registering a single work that is not a work made for hire? Second, are there any special services and corresponding fees the Office should expand, improve or add to its offerings at this time, including, for example, additional expedited services and fee options for copyright owners and their representatives?" See, Federal Register, Vol. 77, No. 15, Tuesday, January 24, 2012, at Pages 3506-3508. 8:45 AM - 1:30 PM. The George Mason University School of Law will host a conference titled "The Digital Inventor: How Entrepreneurs Compete on Platforms". There will be two panel discussions, titled "Platforms, Modularity, and Complementary Goods" and "Patent Litigation: Software Patents, Licensing, and Mobile OS Platforms". There will also be several presentations and speeches, including "Design, Institutions, and the Evolution of Platforms" and "Why Walled Gardens Isn't Inconsistent with Open Innovation: Understanding How Ecosystems Management Promotes Progress". CLE credits. Prices vary. Location: GMU law school, 3301 N. Fairfax Dr., Arlington, VA. The House will return from its one week recess. Votes will be postponed until 6:30 PM. 4:00 PM. The House Intelligence Committee (HIC) will hold a closed closed hearing titled "Ongoing Intelligence Activities". See, notice. Location: Room HVC-304, Capitol Visitor Center. 10:00 AM - 12:00 NOON. The House Science Committee's (HSC) Subcommittee on Research and Science Education will hold a hearing titled "An Overview of the National Science Foundation Budget for Fiscal Year 2013". The witnesses will be Subra Suresh, Director of the National Science Foundation (NSF), and Ray Bowen, Chairman of the National Science Board. The HSC will webcast this hearing. See, notice. Location: Room 2318, Rayburn Building. 10:00 AM. The House Homeland Security Committee's (HHSC) Subcommittee on Counterterrorism and Intelligence will hold a hearing titled "Federal Government Intelligence Sharing with State, Local and Tribal Law Enforcement: An Assessment Ten Years After 9/11". See, notice. Location: Room 311, Cannon Building. 10:15 AM. The House Commerce Committee's (HCC) Subcommittee on Oversight and Investigations will hold a hearing titled "Critical Infrastructure Cybersecurity: Assessments of Smart Grid Security". See, notice. Location: Room 2322, Rayburn Building. TIME? The U.S. China Economic and Security Review Commission will hold a hearing titled "Chinese State-Owned and State-Controlled Enterprises". Location: Room 562, Dirksen Building. 10:00 AM. The House Ways and Means Committee (HWMC) will hold a hearing titled "President Obama’s Trade Policy Agenda". The witnesses will include Ron Kirk (U.S. Trade Representative). See, notice. Location: Room 1100, Longworth Building. 10:00 AM. The House Science Committee's (HSC) Subcommittee on Technology and Innovation will hold a hearing titled "Promoting Innovation, Competition, and Economic Growth: Principles for Effective Domestic and International Standards Development". The witnesses will be Mary Saunders (National Institute of Standards and Technology) and Joe Bhatia (American National Standards Institute). The HSC will webcast this hearing. See, notice. Location: Room 2318, Rayburn Building. 10:00 AM. The House Financial Services Committee (HFSC) will hold a hearing titled "Monetary Policy and the State of the Economy". See, notice. Location: Room 2128, Rayburn Building. 12:15 - 5:00 PM. The New America Foundation (NAF) will host an event titled "Tinkering With Tomorrow: Will the DIY Movement Craft the Future?" There will be several panel discussions, including one titled "Can Our Patent System Support or Survive the DIY Movement?" Free. Open to the public. See, notice. Location: NAF, Suite 400, 1899 L St., NW. 12:30 - 2:00 PM. The American Bar Association (ABA) will host a teleconferenced event titled "Hot Legal Issues in Social Media Marketing". The speakers will be John Feldman (Reed Smith), Catherine Bate (Heenan Blaikie), Ed Chansky (Greenberg Traurig), and Anthony Diresta (Winston & Strawn). No CLE credits. Free. See, notice. 2:00 PM. The House Science Committee's (HSC) Subcommittee on Investigations and Oversight will hold a hearing titled "NASA Cybersecurity: An Examination of the Agency’s Information Security". The HSC will webcast this hearing. See, notice. Location: Room 2318, Rayburn Building. 4:00 - 7:15 PM. The DC Bar Association will host an event titled "Privacy in The Workplace: Where It Is and Where it Isn't". The speakers will be Gerard Stegmaier (Wilson Sonsini) and Diane Seltzer. The price to attend ranges from $89 to $129. CLE credits. See, notice. For more information, call 202-626-3488. The DC Bar has a history of barring reporters from its events. Location: DC Bar Conference Center, 1101 K St., NW. Deadline for Apple to respond to the letter sent by Rep. Henry Waxman (D-CA) and Rep. GK Butterfield (D-NC). See, story titled "Representatives Question Apple About iOS Apps that Seize Address Book Data" in TLJ Daily E-Mail Alert No. 2,338, February 16, 2012. Deadline to submit Form 477 to the Federal Communications Commission (FCC). 9:00 AM. The House Intelligence Committee (HIC) will hold a closed closed hearing titled "Ongoing Intelligence Activities". See, notice. Location: Room HVC-304, Capitol Visitor Center. 9:30 AM. The House Science Committee (HSC) will hold a hearing titled "An Overview of the Department of Energy Research and Development Budget for Fiscal Year 2013". The DOE conducts research on computing. The HSC will webcast this hearing. See, notice. Location: Room 2318, Rayburn Building. 10:00 AM. The Senate Judiciary Committee (DJC) will hold an executive business meeting. The agenda again includes consideration of the nomination of Andrew Hurwitz to be a Judge of the U.S. Court of Appeals (9thCir). See, notice. The SJC will webcast this meeting. Location: Room 226, Dirksen Building. 1:00 - 2:30 PM. The American Bar Association (ABA) will host a webcast event titled "Copyright and the Public Domain After Golan". The speakers will be June Besek (Columbia University law school), Anthony Falzone (Stanford University law school), Tyler Ochoa (Santa Clara University law school), Mary Rasenberger (Cowen DeBaets), and Jennifer Urban (UC Berkeley law school). CLE credits. Prices vary. See, notice. 5:00 PM. Deadline to submit comments to the Office of the U.S. Trade Representative (OUSTR) regarding its February 23, 2012, hearing and its "Special 301 Review". 6:00 - 8:15 PM. The Federal Communications Bar Association (FCBA) an event titled "Internet Delivery of Television: Over the Top and IP". CLE credits. Prices vary. Registrations and cancellations are due by 5:00 PM on February 8. Location: Covington & Burling, 1201 Pennsylvania Ave., NW.